Bangkok. Thousands of Singaporeans flood its streets every year to get the best deals on everything – and when I say everything, I do mean everything. Clothes, technology, food and accommodation, you name it. But of course locals are catching on and jacking their prices up and I don’t blame them. So why not be prepared and save on what you can before hitting the streets of Chatuchak and Pratunam? Here at Vulcan Post, we love Airbnb. Airbnb is on average 20% cheaper than hotels according to Money Smart and this comes in handy especially if you’re travelling in a big group. During my recent trip to the sunny city, renting a whole apartment seemed like the best decision with eight of us travelling to the city. And of course, Airbnb came to mind. 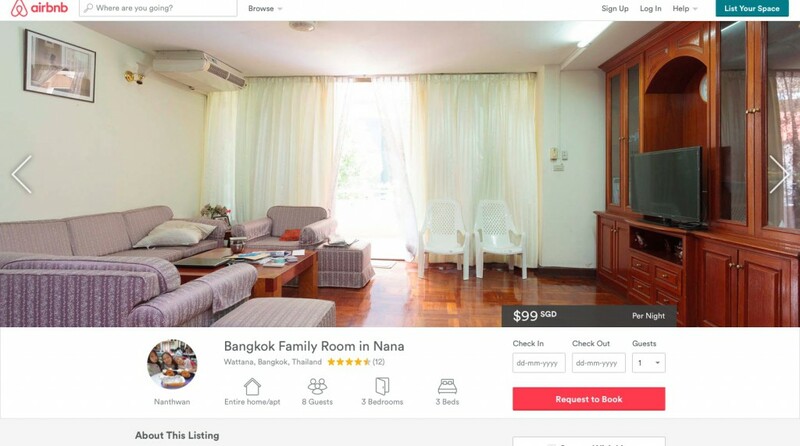 With filters in its site just like Booking.com or Agoda, Airbnb also allows its users to narrow their search down to location, proximity to BTS, Bangkok’s sky train, and of course a wide range of prices from SGD$50 to SGD$150 a night. Staying in an apartment is definitely cheaper than getting two hotel rooms and being separated from your friends. Being in a foreign country, however, means you’re bound to encounter some language barriers, but luckily most hosts are accommodating and will help tourists speak to the taxi driver so that they can arrive at their cosy apartments quickly and kick-start their shopping spree. But how can we possibly make a call to our Airbnb hosts in the foreign country without incurring such a hefty cost? Answer: Get a SIM card. Stay connected, even in Bangkok. 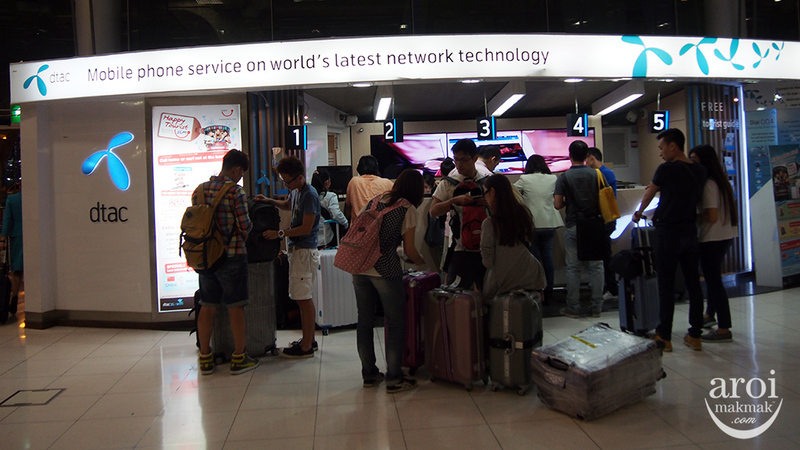 Tourists can stay connected to their loved ones and social networks all day by purchasing a Thailand SIM card at the airport the moment they collect their luggages. 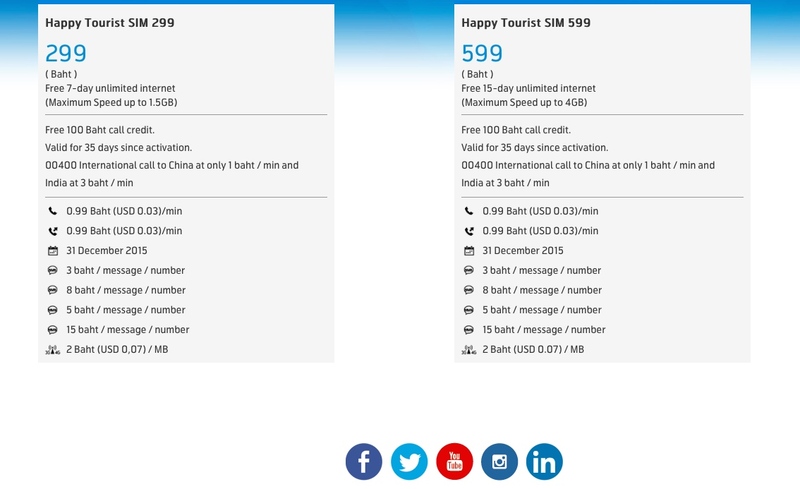 Whether you’re staying for a week or two or even a month, telecom services in Bangkok like Dtac or AIS have the perfect plan to suit your needs. Getting lost in huge street markets like Chatuchak and Pratunam can seem menacing and scary with locals trucking along their huge trolleys full of mass-produced clothes, along the narrow alleys in the hustle and bustle of the city. However, most of us do find some comfort knowing that we are connected to the online realm and perhaps with your phone, you can Google your way out of the small alleys and back to your friends wherever they are. Tourists visiting the city for a week can purchase a SIM card for 299 Baht (SGD12) for unlimited 3G use as well as 100 Baht free call credit. A small price to pay to stay connected at all times. And for men who get bored waiting for the girlfriends while they are shopping, getting this SIM card will be a lifesaver. With unlimited 3G, nothing can stop you from watching your videos on Youtube or even watching a whole EPL match if you wanted to. Travellers can get their SIM card at the airport or at popular malls in Bangkok such as Siam Paragon and Central World. As if the food wasn’t already cheap enough in Bangkok with a plate of Phad Thai going for 65 Baht (SGD$3) and huge portions of wanton noodles and basil chicken fried rice for less than 100 Baht (SGD$4), travellers can now get even more deals using their already existent apps on their mobile phones. WeChat and Line are some apps that travellers can use to stretch their money and get even better deals in the city of smiles. WeChat offers daily promotions on food and transport and all users have to do is download the app and follow the respective official accounts to get daily updates on the promotions available. 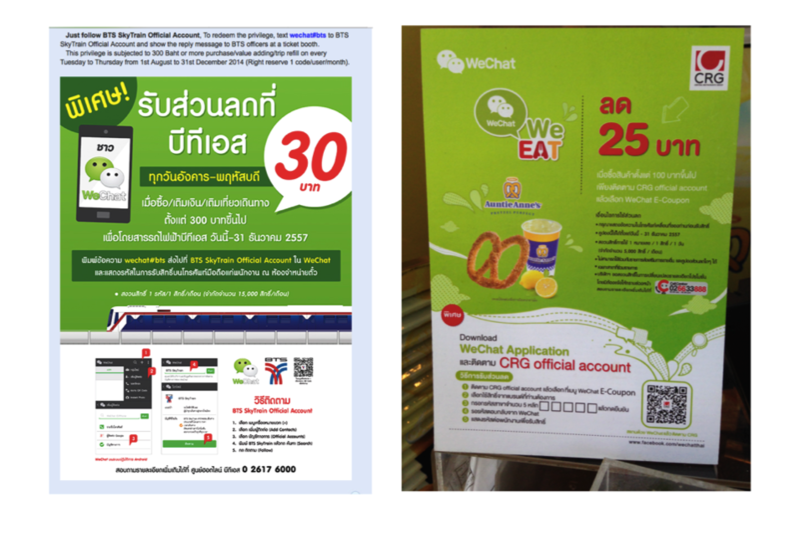 Recently, it offered 30 Baht off for its WeChat users and followers every Tuesday through Thursday and also offered 25 Baht off for Auntie Anne’s pretzel and lemonade combo. So if you’re sick of street food, Auntie Anne’s is always available. Line is also another app that travellers can get a hold of to get deals at supermarkets such as Big C, the Giant or Sheng Shiong of Thailand. 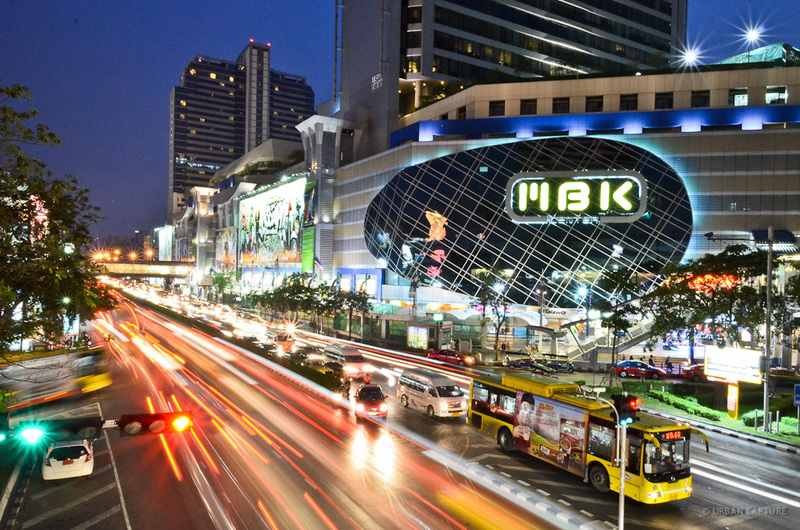 Other than taking the BTS in Bangkok to get to malls such as Siam Paragon or Platinum Fashion Mall, travellers can also opt to travel via taxi. But beware, some drivers may be out to scam tourists and overcharge vulnerable foreigners for their money. 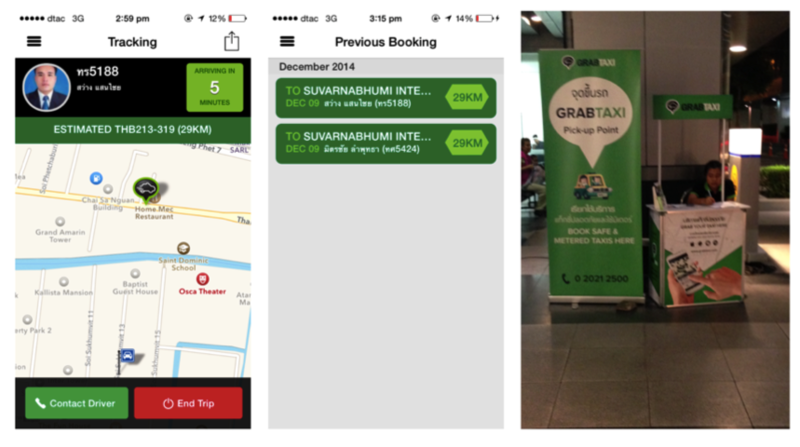 But don’t fret, GrabTaxi can help tourists combat this and travel to their destinations, safely and promptly. Travellers can track the location of their drivers upon booking a cab and also state special notes such as a bigger van needed to accommodate more people or more luggage before submitting the booking. In addition to that, travellers can see the estimated cost of the trip and distance to prepare themselves for the journey. Best of all, GrabTaxi cabs operate as metered taxis so the chances of tourists getting scammed for a ride that will cost a bomb are definitely reduced when they book a cab via GrabTaxi. With people already using these apps their own cities, why not use them in Bangkok? The possibilities are endless with new promotions popping up every 3-4 hours or so and new hosts opening up their humble abodes to travellers heading to Bangkok. It’s not impossible to feel right at home in this foreign place with all these familiar apps helping you along the way.